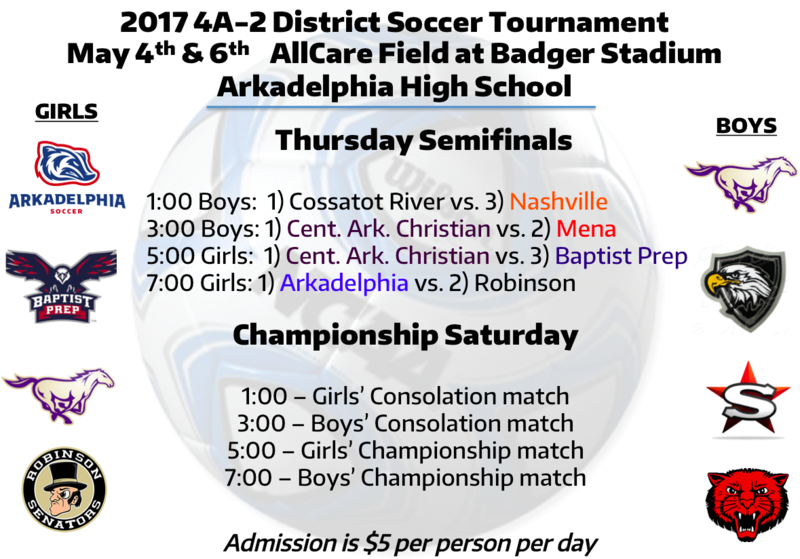 Arkadelphia High School is hosting the 4A-2 District Soccer Tournament Thursday and Saturday on AllCare Field at Badger Stadium. The Lady Badgers will play their semifinal match Thursday night at 7:00 vs. the Robinson Lady Senators. We’d love to have a huge crowd to support the Lady Badgers who have won 11 matches in a row and qualified for next week’s 4A State Tournament in Batesville!